There's a glint in Tom Adams' eye when he talks about fire. It's to be expected, really, given that he presides over the enormous wood- and charcoal-fired grill at one of the most trailblazing and revered restaurants to open in the last five years. But to Pitt Cue's executive chef, not only is there no way to replicate the flavours that are born when fire and food combine; there's no way to replicate the feeling, either. More specifically, it's the feeling when fire meets wood. Not charcoal, although it's also integral to the grilling process for Adams and many other chefs in London working with live fire. 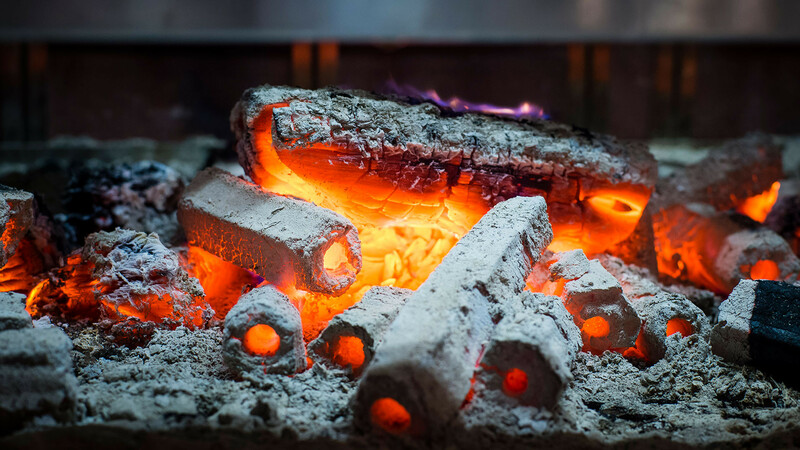 Whereas the British will think of barbecuing as cooking over charcoal, there's an emerging section of the London restaurant scene pushing the boundaries of flavour and using wood – and the smoke it creates – as much more than just a heat source. If this were a film, Adams might be its protagonist. Plenty of other talented chefs, all of whom are playing their part in reviving and retuning this millennia-old form of cooking, might make up its supporting cast. But its writer would be Mark Parr, founder of London Log Company, which supplies some of the best restaurants in London with logs, charcoal and woodchips. You've probably not heard his name, but he's integral to the trend's rise to prominence. "I started Log Co nearly 14 years ago," Parr recalls. "It was a seasonal business, selling firewood, but I used to pick out the wood I wanted for my cooking, and every weekend I used to be outside." His love for outdoor cooking stemmed from a childhood largely spent in the Ardennes, Belgium, and his position as the go-to guy for cooking wood was gained gradually, working with Lee Tiernan at St John Bread & Wine, and Hoxton's Beagle along the way. If you think his position as a supplier, rather than a restaurateur, means he doesn't know food, think again: "We talk about wood as an ingredient," he says. "It's essentially an ingredient in the dish." And that's where the distinction lies. Charcoal as it should be – made by cooking and compacting British wood until it's black and feather-light – is a perfect product for some. But it's a homogenised, safely predictable one. Even at the levels of sourcing and production that London Log Co operates, the result is still more 'heat source' than 'ingredient'. It burns slightly cooler than logs, for slightly longer, and it produces less smoke – and therefore less flavour. "One of the benefits of charcoal is that it tends to burn fairly clean, and provides uniform heat over a fairly long period," says Jeff Arnett, master distiller at Jack Daniel's, which uses charcoal in its filtration process as well as new oak – giving the whiskey a significant amount of its flavour – in its barrels. "That makes for very predictable cooking, as far as the heat source goes. But you might add wood multiple times during the cooking process, because at that point you're trying not just to cook it, but to smoke it." "Charcoal is essentially refined," Adams says. "It's wood cooked with no oxygen to the extent that it's carbonised, whereas wood is a completely unrefined product. It's as unrefined as you can get – it's as it was in the ground. So, like with anything – unrefined sugar or flour, say – the less refined, the more impurities that are in there, which is where the flavour comes from." you get in that fruit." It might sound complex, but it makes sense. If the wood provides the transport that carries the nutrients from root to fruit, of course it's going to carry traces of the fruit's taste. And the array of flavours and aromas available on the spectrum means that wood can be elevated to an ingredient in its own right, so it's as much an integral part of the final dish as a piece of meat or a herb. 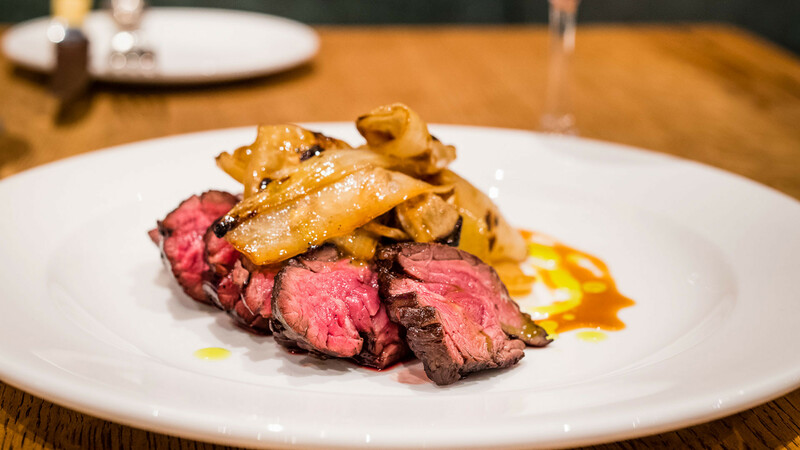 "We've got a pork dish on here that we do with applewood," says Ben Tish, executive chef of the Salt Yard restaurant group, which set up Mediterranean-style grill Ember Yard in Soho in 2013. 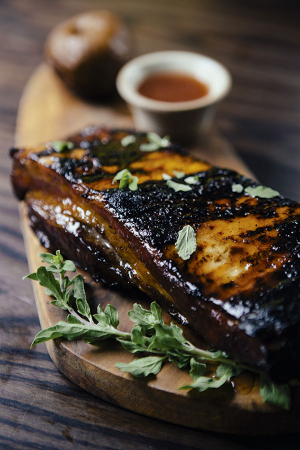 "It's pork belly, kind of Basque, with a cider glaze and smoked apple. Oak's a good all-rounder – it's widely available, but it does work with most things. We use silver birch and chestnut, too – they're lighter, so they're good for fish, vegetables, and delicate meats like Iberico pork. It's good to experiment, and it's quite subjective. Some woods carry more flavour than others, and it's a gentle aroma – a whisper rather than a deep flavour." "Sometimes a restaurant will be running a menu that requires a much more wood-centric note to it," London Log Co's Parr says. "But then if you use the wrong wood, you've killed it. If you're cooking with oak and you start cooking crustaceans or shellfish, they pick up very heavily on the oak note. That sweetness in shellfish and the sharp, metallic element in the oak is sometimes too much to bear. All of this isn't to say that charcoal should be sniffed at, or looked down on. In fact, most grill restaurants, if they cook on logs, use at least some charcoal to top it up. "Wood definitely flames more than charcoal," Adams says. "Charcoal gives you a longer heat, but with wood the smoke is more prominent, so a mix of both is great, because it gives you flavour and control as well." There is, of course, an international influence at work here. 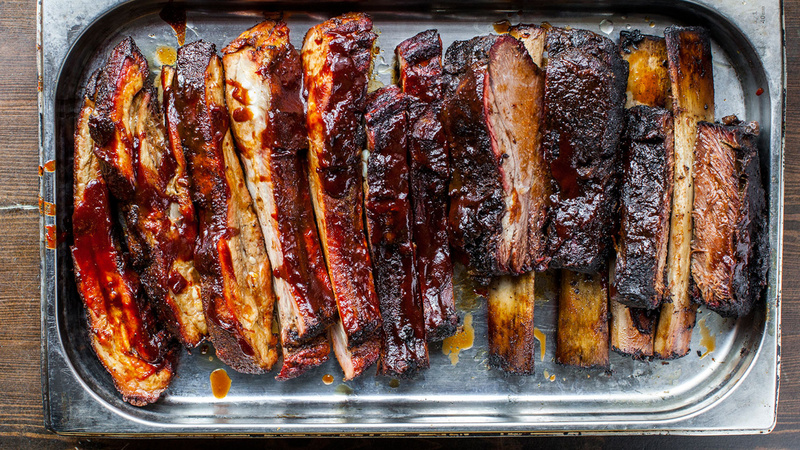 US barbecue has harnessed the effects of smoke – whether with charcoal or without; with logs or chips – for generations, and you only have to see the number of US-style smokehouses popping up around London to see the American influence hard at work. 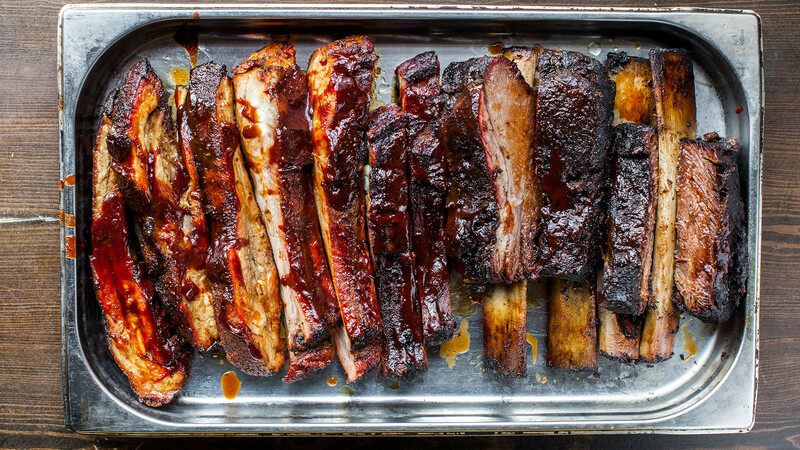 The Blues Kitchen is one of London's best-known and best-loved exponents of the US barbecue craze, and it smokes its low-and-slow pork and beef entirely on wood. "In Britain we don't have hickory, but you can use plum wood, that's probably the closest thing to the flavour of the hickory smoke," executive chef Wyatt Shevloff says. "Oak tends to have a love for beef, especially in Texas barbecue, where they tend to smoke directly over pure oak. There are people I've worked with before that'll even isolate specific types of applewood, and look at the different flavour profiles involved in that." It's not only food that's getting the smoked treatment – chefs and barmen are now getting in on the act, realising the value that smoke as a component can make to drinks. 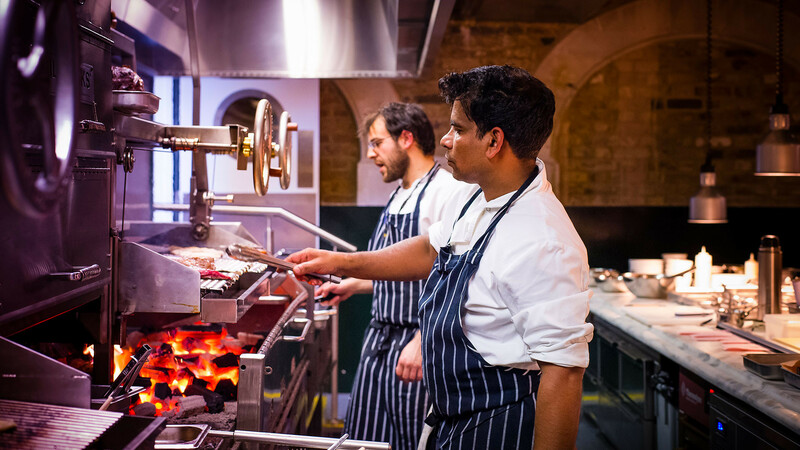 Jai Parkinson, head chef at Kensington's Orange Elephant – a steak restaurant that cooks predominantly over charcoal on its range of Big Green Egg barbecues – realised he could smoke tequila cocktails to bring another dimension to their flavour. And Tish's bar team at Ember Yard realised the same, letting smoke infuse in a covered glass for one serve, and even smoking the ice and grilling the orange garnish of their smoked negroni. Perhaps more influential to the trend, despite the prominence of US barbecue in the London restaurant scene, is the modern European food map. Around the Mediterranean, cooking with wood is an integral discipline. Adams, Tish and Parr all mention chef Victor Arguinzoniz at Asador Etxebarri in Spain's Basque country – who was named by the World's 50 Best Restaurants initiative as "a founding father of creative European barbecue", and who won a Michelin star by doing perhaps the least Michelin-starred way of cooking – as a huge influence. "Etxebarri blew my mind when I went," Adams says. "That is the kind of attention to detail you want to learn and you want to get to. It makes you think that you can't achieve that flavour and intensity with any other technique." "We were lucky enough to meet Victor at Etxebarri," says Simon Mullins, co-founder of the Salt Yard Group, who, along with Tish, toured northern Spain and Italy during research trips ahead of opening Ember Yard. "He's taken it to another level." "For us, it is a pinnacle of performance," says Parr. "This combination of nature and fire and food, and it's not about any one of them specifically – it's a beautiful combination of things. It's several elements at the right time in the right place." It also provides a significant challenge to the assertion that cooking on fire lacks precision, or is somehow more rough-and-ready than ovens and hobs. "Cooking something perfectly over fire takes skill," Adams says. "There's a guy here who started four years ago as a chef de partie in our Newburgh Street restaurant, who now runs the grill here as a sous chef. It's taken him four years but he now cooks with his eyes closed to absolute perfection: perfect caramelisation; blushing pink all the way through. And it takes time. I think that's what's enjoyable about it." In UK terms, the wood trend is probably aligned with the current shift towards the idea of the craft product – one that, before it ends up on a plate alongside other ingredients, has been tirelessly researched and sourced in an ethical and sustainable way; one that's traceable and, wherever possible, British. And it's no surprise that restaurants like Pitt Cue and Ember Yard, with their enduring focus on sustainable British food irrespective of the international influence, have joined the dots. "We were researching countless restaurants about five years ago when molecular gastronomy was still incredibly popular," says Mullins. "Ember Yard was a bit of a departure from that. It's back-to-basics cooking." And it is. With less to mask the ingredients – whether they be a piece of meat or a piece of wood – the end product can shine on its own terms. "You don't want to be cooking with refined products, because the flavour and everything's gone out of it," Adams says. "You want a bit of funk. "The less interference between ground and cooking, the better it's going to taste. And from a personal point of view, there's something inherently primal about lighting a fire that you get with wood, and that you don't get with charcoal. I don't know what it is – it's almost intangible. You can't explain it. I could stare at a fire for ages, and being able to do it every day with work, it's an absolute joy. Whereas with charcoal, it doesn't hit you inside. Building a wood-fired grill does that. There's something special about cooking over fire." And that's what it seems to come back to. There are many reasons – flavour, theatricality – to cook on flaming wood, but the feeling it generates is perhaps the most enduring, and the biggest reason more chefs are coming back to this medium. "If it makes a difference in your mind, and it gives you satisfaction to know you've cooked that pig over applewood, it's going to taste better," says Adams. "The context counts for a huge amount – you drink rosé in Provence, and it's going to taste delicious; it's not great in Bethnal Green. It's the same with this. If you're cooking a piece of beautiful pig over applewood, you're going to be happy. "It just makes a difference," he says, with that glint in his eye again. "And that's really the most important thing."